Our people are our most important asset! We take great pride in those who work for our company. They set us apart from the competition. Integrity, dedication, commitment, and industry knowledge are the qualities we nurture in the people we hire. Our team of professionals has the right mix of creative excellence, passion, and expertise to offer you an exceptional home building experience. The testimonials we receive from our customers tell us we have the best people in the business. Innovation Builders was founded with the ideals of uncompromised quality, customer satisfaction, and attention to detail. From the very first meeting you will notice that we take time to understand your unique needs and desires. Our core team members have worked in the homebuilding industry for 20-plus years. 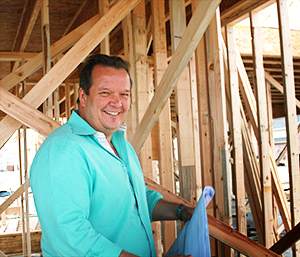 You won’t find a more experienced, knowledgeable, or friendly staff to lead you through the homebuilding process. We invite you to contact us today and allow us to show you what we are a about….making your homebuilding dreams a reality! We want to take this opportunity to thank you personally for your interest in Innovation Builders' homes. It has always been our philosophy that building a new home should be an exciting, enjoyable experience, and we make every effort to ensure that it is. We strive to put our excellence and experience to work on every home we build so that you can relax and watch your new home take shape, knowing that you are in the best of hands. 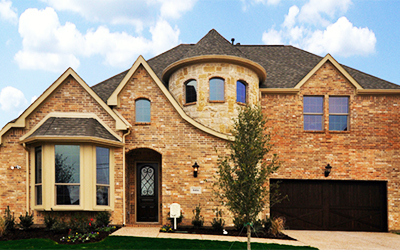 "We are new homeowners of a beautiful Innovation's home in Liberty Village, North Richland Hills. We have now been living in our home for almost a month, and are absolutely thrilled! Now that we are almost settled, we wanted to take the time to write to you regarding our experience with one of your associates, Brad Roberts. From the very beginning, we were met with great professionalism. He was both insightful and very helpful regarding the entire building process from start to finish and was truly a pleasure to work with. He made the entire process truly enjoyable and for that we are forever grateful. We wish that more companies had people like Brad to represent them because there would definitely be a lot of satisfied homeowners."